On my daily inbox scan the other day, I came across this wonderful article about the ethics of fashion by Lucy Collins, a Parsons professor. Her points reminded me of several discussions I’ve had with friends and colleagues about the role of educated, socially conscious, yet student-loan-burdened twentysomethings within this conversation. It’s easy to advise someone to stay away from fast fashion and invest only in quality products, but when you’re living from paycheck to paycheck and need a last-minute, decent-looking blazer for an interview, resorting to the convenience (and low, low prices) of fast fashion can sometimes seem like your only viable solution. Cost-Per-Wear: The term “cost-per-wear” is a handy assessment tool when it comes to selecting your garments. For instance, you need a pair of everyday professional slacks. If you buy a cheap pair for $20: 1) They’ll most likely be made of “dry clean only” synthetic fibers, driving the cost up by about a fourth of the original price per wear, and 2) They will undoubtedly fall apart in a few short months, creating waste and costing you much more in the long-run in comparison to making a bit more of an initial financial investment in sturdy, machine-washable wool or cotton trousers. One pair of quality slacks will cost you less per wear and have a significantly longer lifespan. Fit: It is an undebatable truth that a cheap garment will not fit as well as a higher-quality one. Production costs increase immensely the more involved a worker is with a piece of clothing. A fast fashion pattern maker designs garments that are quick to assemble, which consequently results in straighter—and thus unflattering—lines. Also, an underpaid fabric cutter won’t spend as much time and care with the items in production as someone who is paid a living wage (or more!) to do the same job. When technicians are paid by the piece rather than the hour—a common characteristic of sweatshops—garments produced under such conditions will be of lesser quality and tug, pull, and sag in all the wrong places. It’s the difference between having a member of an assembly line (whose main concern is putting food on the table) versus a professional seamstress (who can afford to be concerned with the quality of his or her work) construct and assemble the finished product we see at the retail level. Markup: Think you’re getting a great deal on that $10 blouse? Well if you’ve heard anything about the Rana Plaza factory collapse, you’ll realize that demand for such apparel has caused serious repercussions, including the loss of hundreds of lives. Beyond these difficult ethical concerns, the $10 blouse isn’t a bargain from an economic standpoint either. Under these horrifying working conditions, the blouse probably cost pennies to construct. The retail markup thus gives the clothing company—which very rarely will admit to, much less correct or try to atone for, its shady business practices—a profit of ten or more times what the garment actually costs to produce. 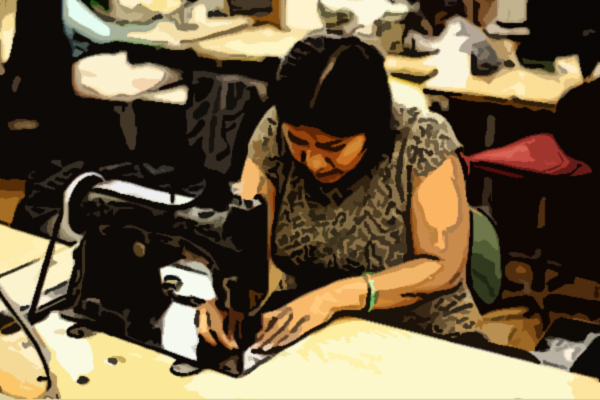 Compare that to a higher-quality blouse, made under safe and well-regulated working conditions: It will inevitably cost more because the workers are being paid accordingly, but the retail price will have to stay competitive in order for a company to stay financially viable. The markup typically won’t stray further north of four times the production cost of the blouse (industry standard markup is usually 2-2.5x for the wholesale supplier, and retail markup is another 2x on top of that). In layman’s terms, not only are you getting ripped off with a $10 blouse, but your purchase continues a terrible and exploitative system. …if we can shift our perspective to see that clothing should be quality and that quality costs, we may get somewhere. If people stopped with the excess of cheap, they might in fact have more money to afford quality items. Keyword: EXCESS. Controlling our demand for fast fashion (combined with pressure for safer factory conditions, living wages, increased demand for quality products, etc.) should help solve these problems from social, political, and economic standpoints. While we activists work on the policy front, curb your impulses to buy those “cheap” tees! Remember, everything in moderation. Thrift and Consign: These are definitively two of the most sustainable and economical solutions to this troubling fashion conundrum. These clothes have already been produced, so why not wear them? It’s a fun and affordable way to collect vintage gems, quirky finds, and non-staple pieces to expand and supplement your wardrobe! Thrifting: A thrift store (a.k.a. charity shop, hospice shop, resale shop, etc.) is a secondhand retail operation run by an—oftentimes volunteer-based—organization to raise money for a charitable purpose. Most goods are acquired via donations and can consequently be sold at very competitive prices. Goodwill and The Salvation Army are two of the most widely known international charities that operate thrift stores. 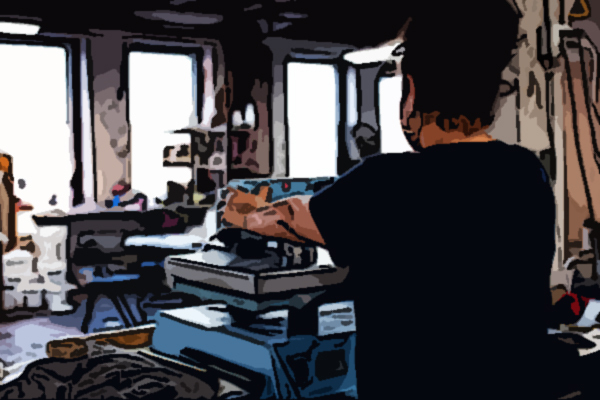 Consignment: A consignment shop, another type of secondhand retailer, sells gently-used items for private owners at a lower cost than its on-the-rack price tag. This is when having quality clothing comes in handy. When you’ve tired of still perfectly useable items in your wardrobe, you can take them to a consignment shop, who will display your items. When a customer purchases your items on consignment, the shop will retain a portion of the payment while you receive the rest, giving you more cash to spend on new pieces! With the advent of the ecommerce age, consignment has never been easier, and various online consignment shops provide great platforms for these kinds of transactions. Befriend Your Local Tailor: If you aren’t gifted with the skills or time to modify your own garments, visit your neighborhood tailor, who will be able to help spruce up your investments so that they fit well and meet your personal preferences. (Every town has one, trust me. I lived in rural Georgia, and I had my pick of three alteration spots.) A skilled tailor is a highly sought-after genius who possesses a unique magic that will guarantee that your wardrobe fits you like a glove. They can oftentimes work impossible miracles on garment mishaps, and consulting a tailor will most assuredly extend the lives of the most cherished members of your wardrobe, especially if you invest in quality pieces. Plus, some tailors give discounts to frequent visitors or customers who bring several items at once. Same advice applies to your local cobbler—no more hunting for multiple replacement pairs of your favorite everyday flats! Several of us here at Dinner Party work in the garment industry and confront the ethical problems of fashion on a day-to-day basis. We started this blog as a means for our readers to consider fresh and compelling topics in art, fashion, feminism, and thoughtful living in hopes of supporting a modern community that values awareness and pursues discovery. The next time you take inventory of your wardrobe or decide to supplement its contents, consider the matters discussed in this article and try out a piece of our advice that perhaps you haven’t tried before. Even the little, seemingly insignificant decisions (like choosing what to wear to work tomorrow) have a resounding impact on countless individuals around the globe. These might be small, everyday choices, but they are anything but simple.